Catherine Rakowski submitted this photo. I marched from 2004 until 2007 as a member of the Phantom Regiment. 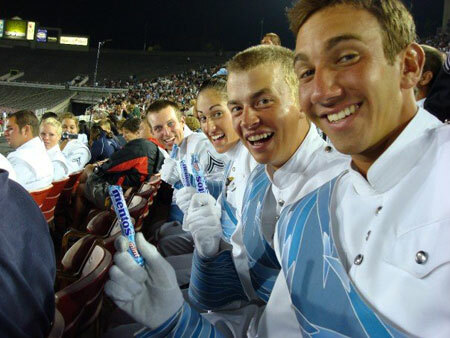 This picture is the perfect drum corps Mentos commercial photo! It's of me and a bunch of my fellow "age-out" members in a quick "Freshmaker" pose!